Learning by Repetition: Does it Work? One way of developing a skill is to make it a stored routine in the students’ system. To make this happen, the most important first step is to bring the skill to a conscious level where the student is deliberately thinking about the activity (not necessarily the skill). In other words, the student knows what skill they’re lacking in and focuses on doing activities that will help them build this skill. This can be termed as learning by repetition. As a skill is practiced or rehearsed over days and weeks, the activity becomes easier and easier while naturally forcing the skill to a subconscious level where it becomes permanently stored for recall and habitual use at any time. Once the skill improves, the student no longer needs to consciously think about their participation in the skill-building activity. Likewise, once a new activity becomes really easy it is evident that new skills have been built. To create enough closely associated repetitions that drive a newly strengthened skill into a subconscious, automatic mode, the skill training should be delivered over multiple days each week and over at least a three-month period. 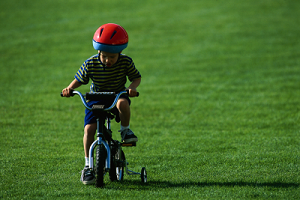 For example, in learning how to ride a bike, the more attempts a child makes, the more the brain reinforces the particular skills necessary to stay balanced and in motion. After some time, the child doesn’t have to stop and think about each part of the procedure to stay upright, balanced, and in motion, or how to stop without falling off. Every time the child rides, the skill is reinforced. Even years later, with no additional riding experience, it is possible for a person to get on a bike and ride because it was so firmly encoded in the brain. This is the power of learning by repetition. How can you use repetition to enforce learning in the classroom?